I had my 1st sale on eCrater today! Only 2.9% of the sale price. . .
Never been this excited over a $20 sale! Good for you Toolguy! I think if Ecrater would do even minimal advertising on TV and other places, Ebay would REALLY feel the burn. So many have thoroughly had it with Ebay and their unscrupulous ways. Come on Ecrater, NOW more than ever, is the time to move forward and make your mark on ecommerce. I have been selling on eCrater for about 3 years. It is slowly growing in percentages of sales for me and is an almost effortless site to sell on. It also has the lowest fees of any site I sell on. I wish you could reply to FB recieved there but its a minor issue of pride only. Two years ago it was 2% of my sales. It is now 5%. I just hope the trend continues. It supplements my other venues but will not replace them. Indeed. Nobody knows any facts. No argument there. However, even with eBay's 'established' programs and processes, nobody - including eBay's own designated representatives who are supposedly empowered to know - ever seems to consistently know any of those facts either. How many times have different answers been given to the same question by different reps? How did that ever become something requiring resigned acceptance? And how many times has eBay themselves disregarded their own policies, procedures and processes simply because they've given themselves permission to? And then required their (actual) customers to accept that absurd hypocricy too. Dismissing poster's ''opinions, fears and guesses'' because eBay had the 'foresight' to announce a paradigm shift purposefully lacking detail (as is their cultural norm), and implying those voices decrying concern are thus 'unworthy' of substance or validity (aka ''noise'') seems unreasonable, despite the truth in lack of 'facts'. Here's what it will 'look like' eBay says. Trust us, they decree. Minimal impact, full transparency, we care, we 'hear' your concerns, they claim. Right. Since when? 'Facts' to this point demonstrate the complete opposite. Every time. And THAT is what constitutes the basis for the ''opinions, fears and guesses'' all too easilly dismissed despite the 'truth' of their nature in context. If eBay wishes to quash them, then it is THEY who have the means, and the responsibility to do so. And THAT is where any disdain, intended or not, thus really deserves to be directed. Cure the desease, not just the symptoms. I just put my store on vacation due to a catastrophic tragedy, but now? Outside flea markets are even beginning to look intriguing so maybe I'll just forget it and stay on vaca forever. ...always with the smartphones. Some of us (granted, few) have elected to live smartphone-free. I cannot even imagine how badly eBay will screw this up but I'm sure we will soon find out!!! They are control maniacs! Etsy uses the same method of payment with the same back end (Adyeh) as eBay is going to be using. It works fine, payment options are expanded and I can still take Paypal (I've used Etsy Payments since I started selling on there). My funds are deposited once a week in my bank account, or I can have them deposited the next day. It's pretty easy and it's very obvious whom my customers are purchasing from. Same when I use the system as a buyer. Now, if eBay follows the same formula, it should expand payments - a lot of people don't like Paypal - and options. I make almost half my income on Etsy and I'm a full-time seller, so I do watch these things. But, as Marie says, who knows? You won't ''take'' PayPal in the new scheme. Regardless of how the buyer pays, the payment will go to eBay, not to you. EBay will then disburse the funds to you on some yet-to-be determined schedule. If you have a PayPal account eBay might deposit your funds there instead of a bank account. For me it will be to a credit union account where I can instantly transfer to a different account at the same credit union (BECU, for those in the PNW) so eBay has no access to my money. I will likely close my PayPal accounts since I can pay with a credit card anywhere, including eBay. I wasn't "dismissing" anyone's comments, at least that wasn't my intention. And yes Ebay has the ability to answer all of these questions. But as is usually we all want them now and that isn't something Ebay is prepared to do. That upsets many, so the imaginations have a good amount of time to run wild. Ebay is months away from even starting their 5% test. Ebay has never announces details about any program that far in advance, so it is unrealistic to think they would start that now. General announcements, yes, they have done that many times. But the nuts and bolts of the program or a program no. I'm not even sure any other similar sites have done that. So we must wait for the answers. In the meantime our imaginations will go crazy with all the What Ifs of it all. First let me say I am VERY sorry to hear you have and are suffering through a tragedy in your lift. I sincerely hope that improves for you soon. As for going on permanent vaca due to Ebay preparing to start up a payment processing policy. That would be VERY premature. It won't affect the vast majority of sellers for quite a while yet. Their timeline for implementation is about 3 years in total. So take a deep breath. Try to relax a bit. Watch for more details in the coming months. Make an informed decision with real facts about what your best approach will be to whatever is going on with your business and life. That is simply incorrect. Ebay has already announced they are going to be using Ayden. Ebay is NOT using PP. I've seen other posters say the same thing here and elsewhere, but that isn't what Ebay is saying. They are already under contract with Ayden. And they have said that PP will still be available if a buyer wants to pay via PP in the SAME manner as we see today on the site. Meaning directly to the seller. If you need links to the announcements, just ask. I agree with BargainzBabylon, it is very likely it will be set up like Etsy has theirs. Of course time will tell the true story. @Marie is right. It's wrong to speculate and they're still working out the bugs. 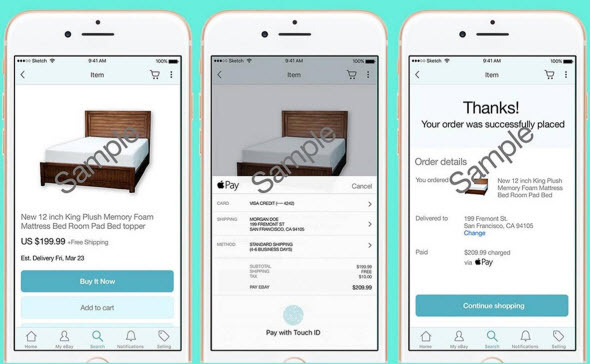 I wonder if you will be able to "preview" your order....or will you be able to put it in a cart for 24 hours before checkout like other sites? I don't mind having the money sit in the account for a few days, Posh does it, Tradesy does that, AMZ does that. It's insurance - sort of - against returns. Gives the buyer enough time to inspect item and / or return it in time. I'm sure many of you are on Posh. Works the same way. I will keep my Paypal account it has worked well for me. And I wonder will PP be an "option"? EB should keep PP. You have it wrong. A buyer can pay with PayPal, but unlike now, the payment won't go directly to the seller's PayPal account (assuming they even have one). 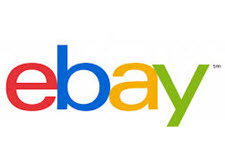 Adyen will collect the payment for eBay, forward it to eBay, and eBay will inform the seller that a payment has been received. Sellers will NOT see how a buyer has paid and will not interact with PayPal at all no matter how the buyer pays. Sellers won't even need to have a PayPal account. If a seller gets money into his/her PayPal account it will only be because the seller has chosen PayPal as the repository for funds disbursed by eBay, on a schedule not yet disclosed to us. Money sent person to person via PayPal will still be possible, but that won't happen on an eBay transaction. If it's mobile it won't work. I had asked these questions before & not sure if answered previously: (1) can I designate PP as my "ebay bank account" for this new process and NOT have to open a second checking bank account (my bank requires a $100.00 deposit/balance to even open an account and will charge a fee if it goes below that), and (2) how will it work when creating mailing labels if the monies won't be in the account for whatever time frame? Does that mean I do the labels out of pocket? I bought a smart phone when I was going to Russia and needed to stay in touch with my business in the States. I hated the thing. When I got back home, I hit it hard with a hammer and threw the corpse into the garbage. Since I live inn the wild and might need communication in case the car stalls on a mountaintop, I now have a flip phone to call for help. @everybody. We won't know until this goes into effect. Wait. Paypal took thousands from our company during the rolling reserve scam years, but I have to acknowledge, paypal is the best payment system for online sellers by far, I can't stand scammers using credit cards and creating costly chargebacks left and right. As usual, eBay is doing the wrong thing, they will really miss Paypal. I see the one critical question is still not addressed, much less answered - how long will it take for sellers to actually receive the funds?